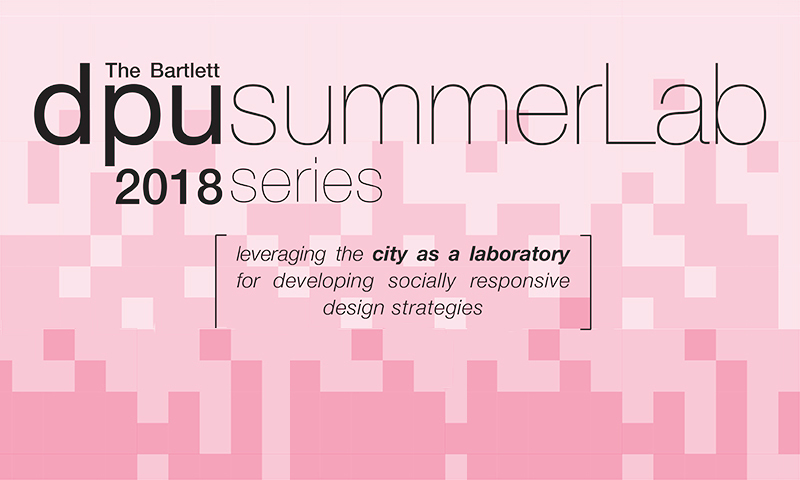 The DPU summerLab team is delighted to announce the launch of the programme for the DPU summerLab 2018 series. Please note that the workshops in Amman and Ulaanbaatar will be held during the same week. The initiative is led by Camillo Boano and Giorgio Talocci, with Azadeh Mashayekhi. The 2018 series programme has been shaped in collaboration with a series of local partners, who we would like to thank for their great effort: Nora Akawi and Jawad Dukhgan of Studio-X Amman, Amman, Jordan; Badruun Gardi and Enkhjin Batjargal of GerHub, Ulaanbaatar, Mongolia; Riccardo Conti and Joana Dabaj of CatalyticAction for the workshop in Bar Elias, Lebanon; Stefania Gyftopoulou of Open Architecture Collaborative, Athens, Greece; Kay Pallaris of Mapping Futures Ltd for the workshop in London. The workshop series aims to leverage the reality of the city as a laboratory for developing socially responsive design and planning measures, drawing on the progressive action-research ethos of the DPU in collaboration with local partners. It is intended to provoke, stimulate, and reconsider the role of designers and practitioners in promoting spatial justice. The workshops, geared toward students and emerging professionals, offer a vital testing ground for designing investigative spatial strategies embedded in the socio-political agendas of contested spaces. This year we look forward to exploring and engaging with Ulaanbaatar’s nomadic thresholds, Amman’s contested landscape of water infrastructures, Athens’ and Bar Elias’ spaces of refuge, and the construction of narratives of healthy urban transformation in London.